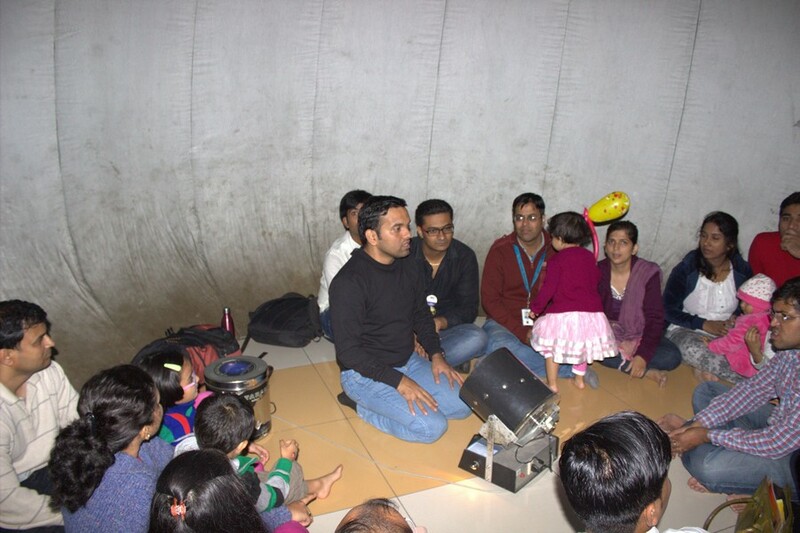 On 20th Dec, 2014 I conducted a mobile planetarium show for Infosys as a member of my amateur astronomers group called ‘Akashmitra’. My co-member Amol Kankariya who also is a part of Infosys Pune’s astronomy club called ‘Orion Astronomy club’ volunteered with me to do this show. 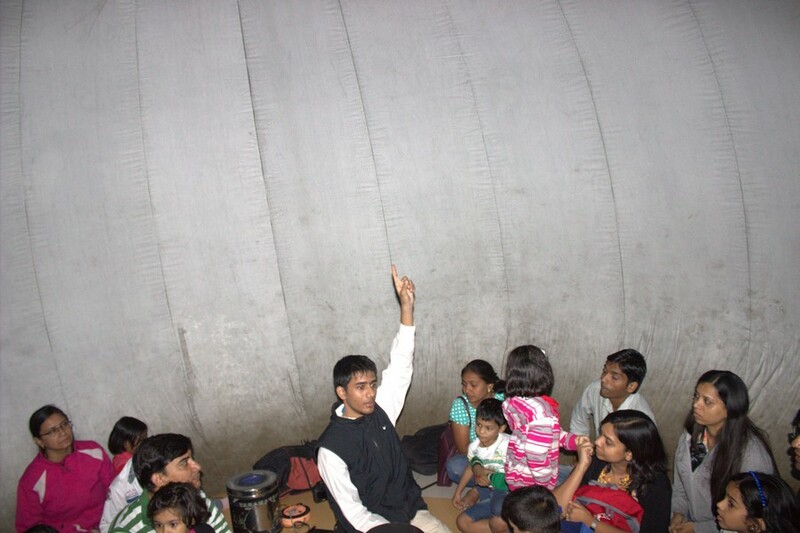 A mobile planetarium is an inflated dome on which stars can be projected and people can be shown constellations and stars of the night sky. About 600 people attended our show in about 4 hours. 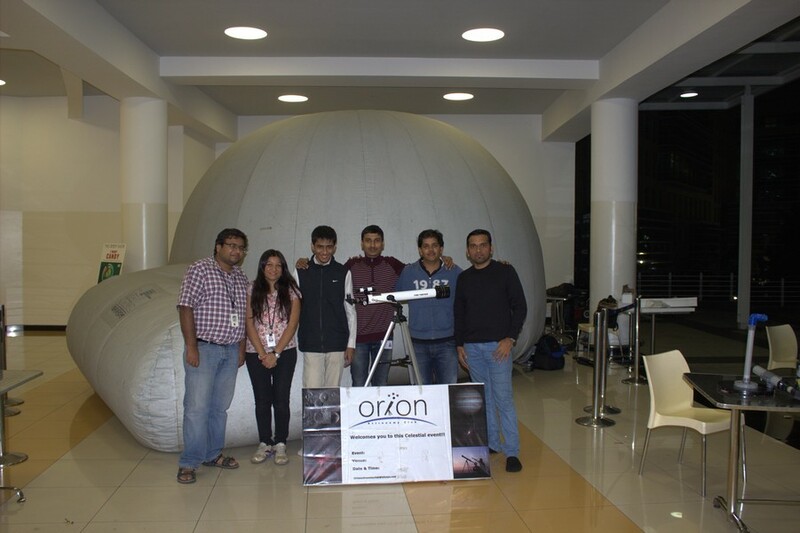 I was helped by members of Orion Astronomy club viz Mandar Atave, Siddharth, Anuj Kankariya and Pallavi. 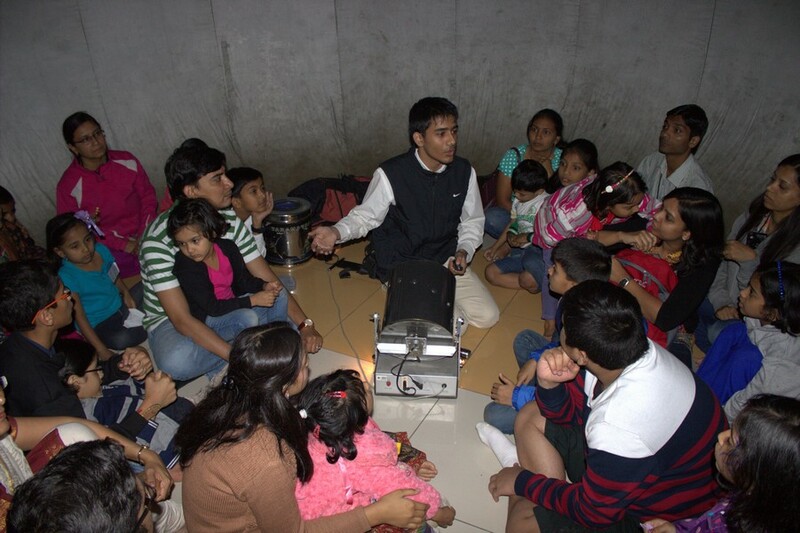 A great way to spread the love of astronomy, this mobile planetarium. Have any pictures from the inside while its projecting? Thank you Rahul! Yes, that is the only thing that we didn’t do that day. But next time, I will do that too. People simply enjoy seeing everything turn dark.